Xoximilco Park appears as a tribute to the beauty of one of Mexico City's main tourist attractions, "Xochimilco", which was named Cultural Heritage for Humanity by the UNESCO. 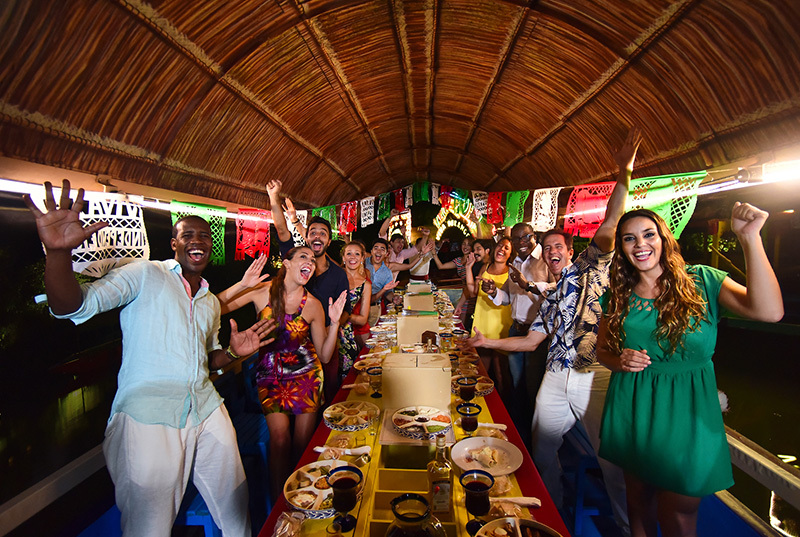 Experience authentic mexican traditions under a star-filled sky on Xoximilco Cancun tour. 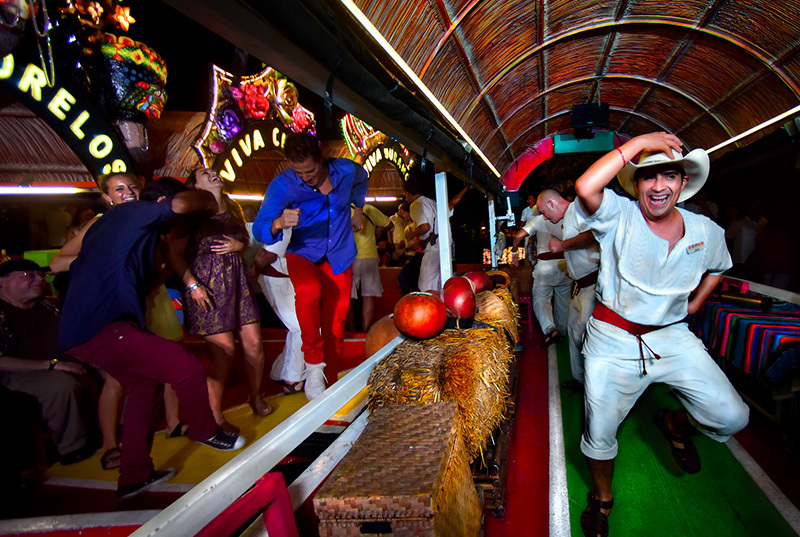 Travel through time on board of a trajinera and enjoy a true Mexican fiesta with live music, gastronomy and flowers. 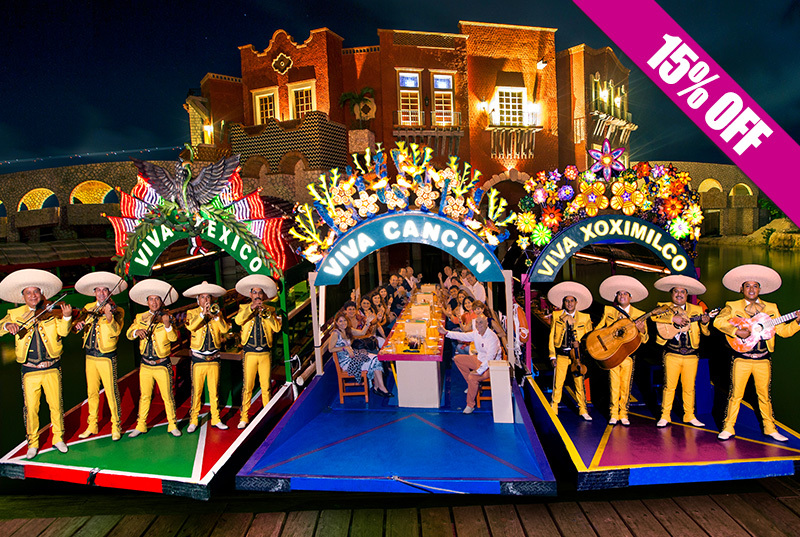 Book your Xoximilco Cancun Tour now! Set sail through a beautiful group of canals on board colorful and picturesque trajineras. 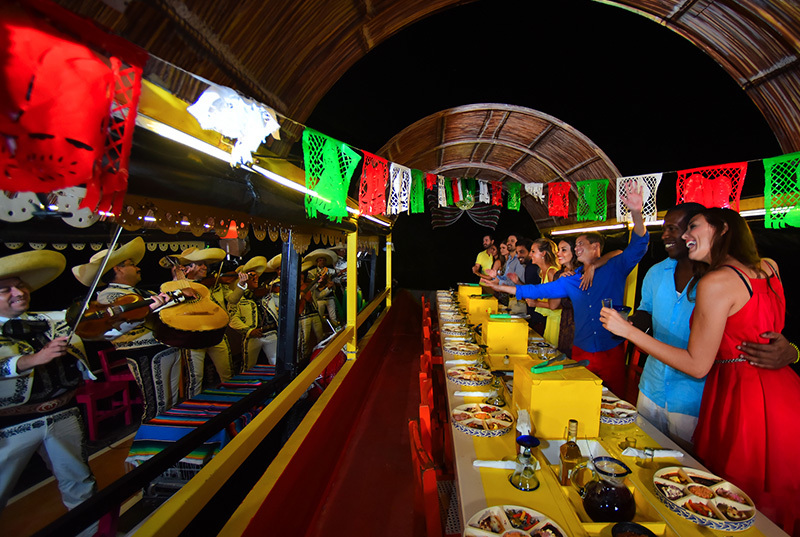 Live a unique Mexican tradition in Cancun surrounded by nature and folklore. 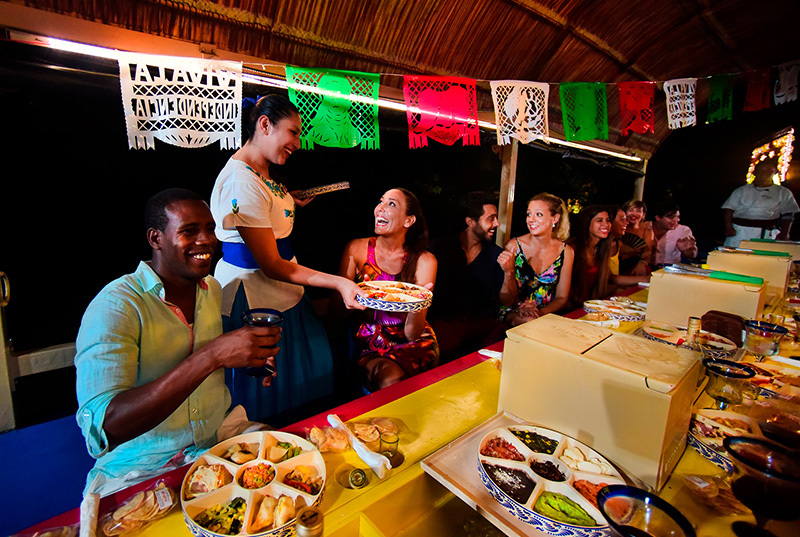 Try the delights of Mexican cuisine and typical desserts (3 course tasting dinner), toast with Tequila (unlimited) and sing & dance with mexican traditional live music such as: mariachi, marimba and bolero. Transportation is included. There's limited availability so book now! Round trip transportation from the comfort of your hotel. A nighttime cruise on board a trajinera. Open bar of tequila, beer, natural flavored fresh waters and soft drinks. Other services (ATMs and shops). Optional activities are not included. Bring cash, so you can go back home with a souvenir. Children age 5 and older. Trajineras have a maximum capacity of 20 passengers.